In the Microsoft’s Surface event on Tuesday, Surface Pro 6 and Surface Laptop 2 made their first appearances. The Surface Pro 6 is a sleek, slim convertible tablet but lacks a certain option. Where is the USB C? A little birdy has been telling all Surface fans about the two USB-C ports in Microsoft’s upcoming Surface device since last year. You can see in this promotional video, a Surface device prototype with a couple of USB-C ports. Techies were looking forward to this spec being one of the highlights of Microsoft’s Surface event in New York. But instead, Microsoft decided to skip it all together in their Surface Pro 6 laptop. With the addition of new ports in Surface Go and Surface Book 2, the consistency to be followed for Surface Pro 6 only made sense. Although disappointing, it does come with some impressive tweaks. And when I say tweaks, I mean that there were no major upgrades to be classified as ‘overhauls’. Given the popularity of Microsoft Surface Pro amongst corporate users, the tech giant may not have wanted to ruin a good thing that they have going on. The two in one convertible tablet is crafted with a smooth matt black finish, to again – fit the portfolio of a ‘corporate suited device’. Said Raphael Jose, Product Manager of Surface at Microsoft, on CRN at the launch event. Now for the upgrades, Microsoft Surface Pro 6 boasts an Eighth gen- Intel Core i5 or i7 processors. Microsoft’s Surface chief, Panos Panay, says the company has improved the processing power with the Surface Pro 6. Microsoft stated that the Pro 6 is 67 times faster and efficient than the previous Surface models. The insides of the machine are claimed to fend off overheating better that is due to the support of quad-core processors and the thermal cooling system in the i7 version. But if you still want to go fanless, try the i5 model. The device can be held up in 3 different positions, the laptop mode, flat out on a surface or a studio mode. It comes with a black matt hinge for propping up top, so the Pro 6 can play your favorite media in this cinematic mode for up to 13.5 hours on a single charge. Apart from the all-day battery life, the extremely portable body and a solid-state drive (SSD), the Surface Pro 6 has moved past the traditional 4GB RAM. Coming just in 8GB or 16GB variants, the Surface Pro 6 will be configurable with 128 GB, 256 GB, 512 GB or 1 TB. Not to mention, the detachable keyboard and its compatibility with Surface Pen and Surface Dial has added a touch of creativity to this little gimmick. Microsoft has stepped up the game on the screen display too. With a 12.3 inch screen, the Surface Pro 6 possesses a bright 5 million pixel for a PPI of 267. This is kind of a game changer in terms of displays in the Surface series. 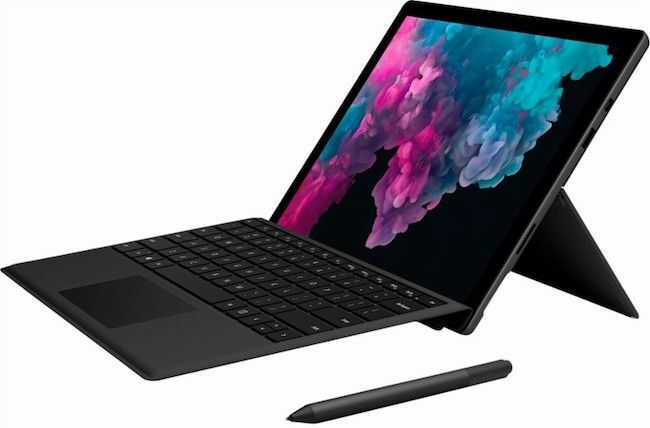 The Microsoft Surface Pro 6 is said to be available from 16th October at all the major online retailers and brick and mortar stores but you can preorder it right now. Starting off with $899 for a basic model with eighth-gen Core i5, 8 GB of RAM and 128 GB of storage, the Surface Pro 6 is available for pre-order on Best Buy and on the Microsoft store. For Core i7 variant with 256 GB of storage, the price tag on the Surface Pro 6 goes up to $1,499. Note that these rates do not include a Type Cover keyboard which is available in 4 interesting shades. The Cobalt Blue, Burgundy, Platinum, and Black. Also, the Surface Pen that comes bundled with Surface Book 2 costs extra $99 with the new Surface Pro 6. 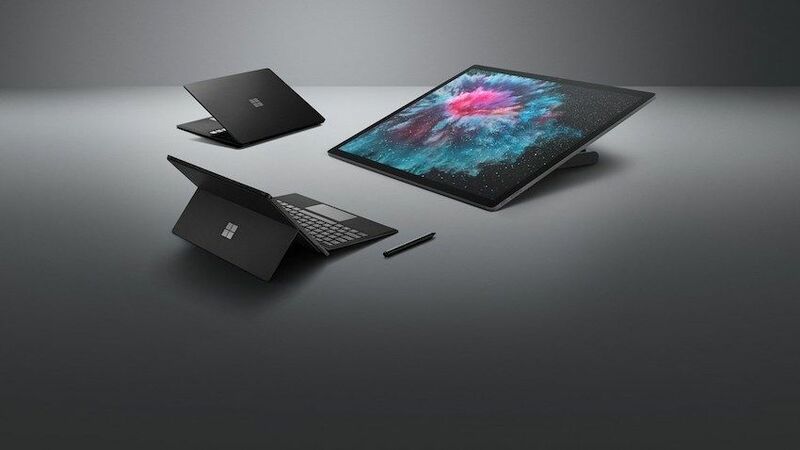 Microsoft also unveiled Surface Laptop 2 and Surface Studio 2 at the event and released the October 2018 Windows 10 update for existing Windows PCs.